A round trip commute to work, 6.25 miles. Ride 2, Wednesday, October 12, 2016. Round trip commute to work, 6.25 miles. Ride 3, Thursday, October 13, 2016. 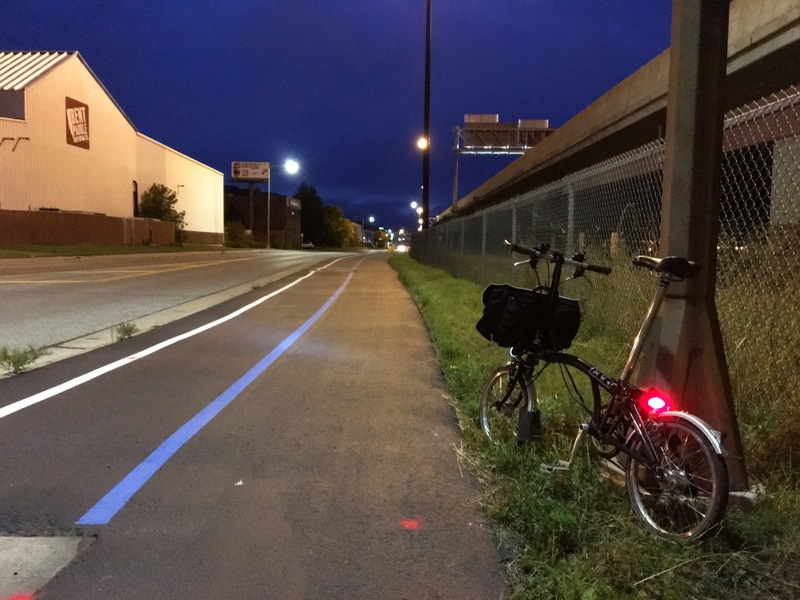 Round trip ride to work, 6.25 miles. As you can see I took part in the Three Speed October Challenge. This was Week two forme. 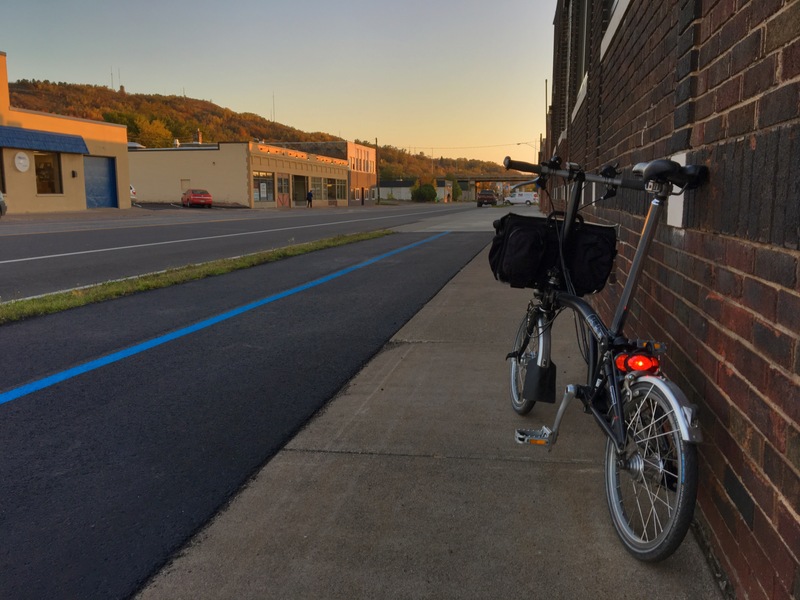 I managed to get in three commutes by three Speed bike this week. As of this writing I already have my first ride of Week three done. Only two rides to go to complete the challenge. Next Article Three Speed October Challenge: Week 3 Report. 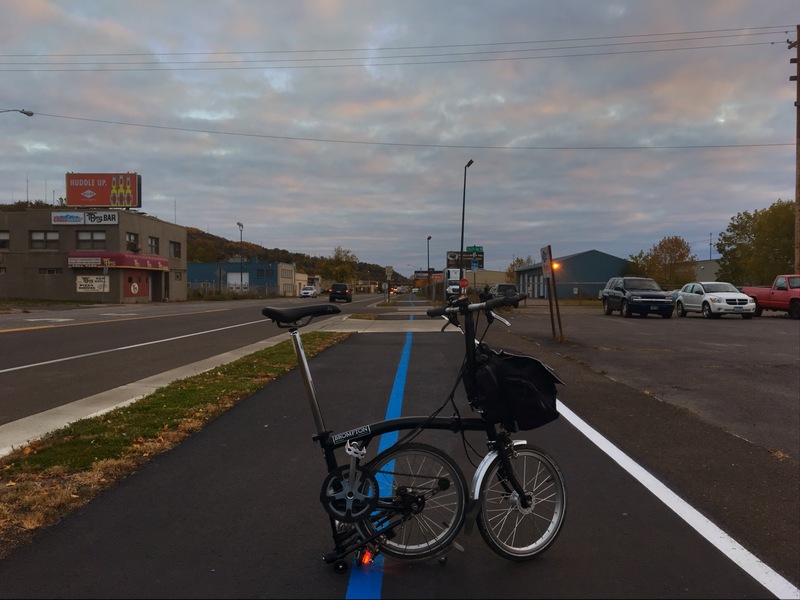 Three Brompton commutes by Doug out in Duluth. Sounds like he’s almost done!